2 Tidal Bulge – Why there are two tidal bulges? – Why is there a tidal bulge on the other side? The periodical rise and fall of the sea level, once or twice a day, mainly due to the attraction of the sun and the moon, is called a tide. Movement of water caused by meteorological effects (winds and atmospheric pressure changes) are called surges (storm surge during cyclones). The study of tides is very complex, spatially and temporally, as it has great variations in frequency, magnitude and height. 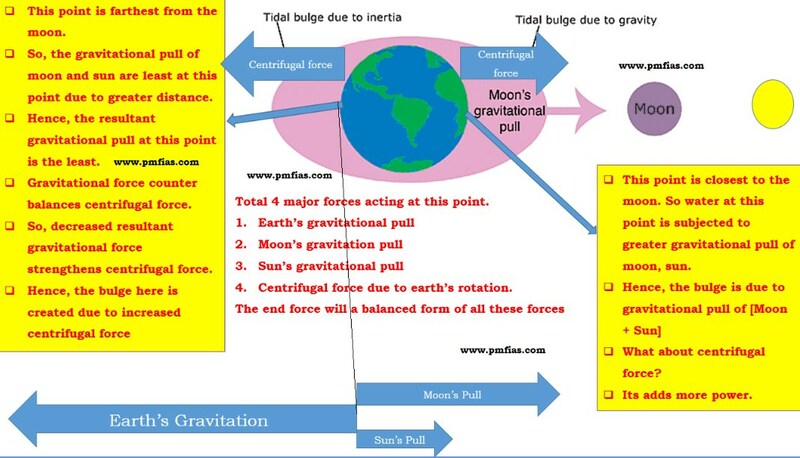 The moon’s gravitational pull to a great extent and to a lesser extent the sun’s gravitational pull, are the major causes for the occurrence of tides. Another factor is centrifugal force which acts opposite to gravitational pull of earth. Tides occur due to a balance between all these forces. Tidal Bulge – Why there are two tidal bulges? – Why is there a tidal bulge on the other side? Together, the gravitational pull and the centrifugal force are responsible for creating the two major tidal bulges on the earth. On the side of the earth facing the moon, a tidal bulge occurs while on the opposite side though the gravitational attraction of the moon is less as it is farther away, the centrifugal force causes tidal bulge on the other side. The ‘tide-generating’ force is the difference between these two forces; i.e. the gravitational attraction of the moon and the centrifugal force. 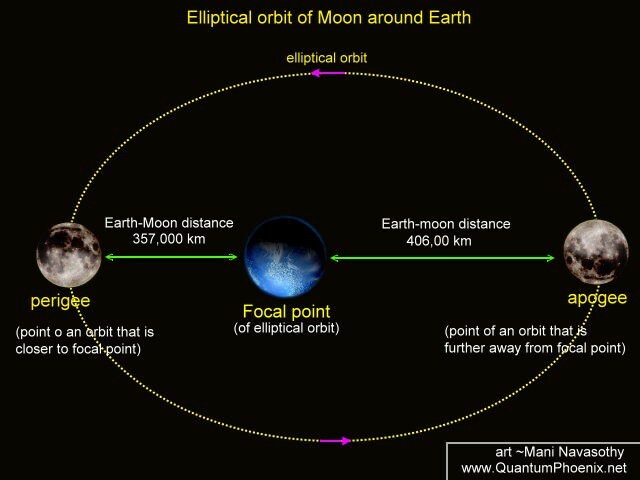 On the surface of the earth, nearest the moon, pull or the attractive force of the moon is greater than the centrifugal force, and so there is a net force causing a bulge towards the moon. On the opposite side of the earth, the attractive force is less, as it is farther away from the moon, the centrifugal force is dominant. Hence, there is a net force away from the moon. It creates the second bulge away from the moon. The movement of the moon in relation to the earth. Changes in position of the sun and moon in relation to the earth. Uneven distribution of water over the globe. Irregularities in the configuration of the oceans. On the surface of the earth, the horizontal tide generating forces are more important than the vertical forces in generating the tidal bulges. The tidal bulges on wide continental shelves, have greater height. When tidal bulges hit the mid-oceanic islands they become low. The shape of bays and estuaries along a coastline can also magnify the intensity of tides. Funnel-shaped bays greatly change tidal magnitudes. When the tide is channeled between islands or into bays and estuaries they are called tidal currents (tidal bore is one such tidal current). The highest tides in the world occur in the Bay of Fundy in Nova Scotia, Canada. The tidal bulge is 15 – 16 m.
Because there are two high tides and two low tides every day (slightly more than a 24 hour period); then a tide must come in within about a six hour period. Tides vary in their frequency, direction and movement from place to place and also from time to time. Tides may be grouped into various types based on their frequency of occurrence in one day or 24 hours or based on their height. The most common tidal pattern, featuring two high tides and two low tides each day [Actually it varies between 3 tides to 4 tides –– 3 tides in rare cases but 4 is normal]. The successive high or low tides are approximately of the same height. Although tides occur twice a day, their interval is not exactly 12 hours. Instead, they occur at regular intervals of 12 hours and 25 minutes. This is because the moon revolves around the earth from west to east, and each day it moves a bit to the east if observed from the same place on earth at the same time on two consecutive days. This time lag explains the tide interval of 12 hours and- 25 minutes, as tides occur twice a day. A place in England—Southampton—experiences tides 6-8 times a day [2 high tides from North Sea + 2 high tides from English Channel + 2 neap tides from North Sea + 2 neap tides from English Channel]. 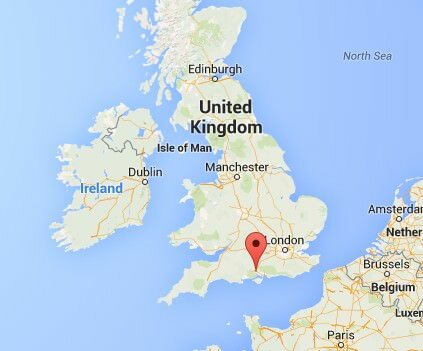 This happens because the North Sea and the English Channel push the water at different intervals. There is only one high tide and one low tide during each day. The successive high and low tides are approximately of the same height. Tides having variations in height are known as mixed tides. These tides generally occur along the west coast of North America and on many islands of the Pacific Ocean. The height of rising water (high tide) varies appreciably depending upon the position of sun and moon with respect to the earth. Spring tides and neap tides come under this category. The position of both the sun and the moon in relation to the earth has direct bearing on tide height. When the sun, the moon and the earth are in a straight line, the height of the tide will be higher. These are called spring tides and they occur twice a month, one on full moon period and another during new moon period. Normally, there is a seven day interval between the spring tides and neap tides. At this time the sun and moon are at right angles to each other and the forces of the sun and moon tend to counteract one another. The Moon’s attraction, though more than twice as strong as the sun’s, is diminished by the counteracting force of the sun’s gravitational pull. Like spring tides, these tides also occur twice a month. Once in a month, when the moon’s orbit is closest to the earth (perigee), unusually high and low tides occur. During this time the tidal range is greater than normal. Two weeks later, when the moon is farthest from earth (apogee), the moon’s gravitational force is limited and the tidal ranges are less than their average heights. When the earth is closest to the sun (perihelion), around 3rd January each year, tidal ranges are also much greater, with unusually high and unusually low tides. When the earth is farthest from the sun (aphelion), around 4th July each year, tidal ranges are much less than average. The time between the low tide and high tide, when the tide is rising, is called the flow or flood. Since tides are caused by the earth-moon-sun positions which are known accurately, the tides can be predicted well in advance. This helps the navigators and fishermen plan their activities. Tidal heights are very important, especially harbours near rivers and within estuaries having shallow ‘bars’ [Marine Landforms] at the entrance, which prevent ships and boats from entering into the harbour. High tides help in navigation. They raise the water level close to the shores. This helps the ships to arrive at the harbour more easily. Tides generally help in making some of the rivers navigable for ocean-going vessels. London and Calcutta [Tidal Ports] have become important ports owing to the tidal nature of the mouths of the Thames and Hooghly respectively. The high tides also help in fishing. Many more fish come closer to the shore during the high tide. This enables fishermen to get a plentiful catch. Tides are also helpful in desilting the sediments and in removing polluted water from river estuaries. Tides are used to generate electrical power (in Canada, France, Russia, and China). 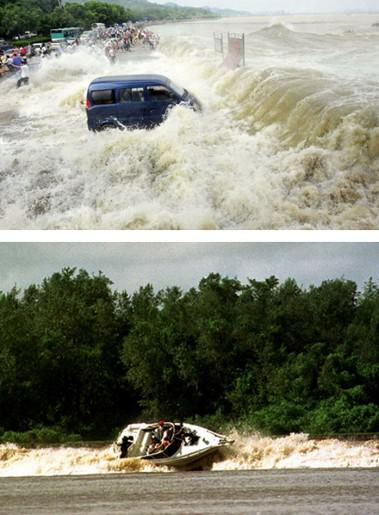 A 3 MW tidal power project was constructed at Durgaduani in Sunderbans of West Bengal. The tidal bulges on wide continental shelves have greater height. In the open ocean tidal currents are relatively weak. When tidal bulges hit the mid-oceanic islands they become low. Funnel-shaped bays greatly change tidal magnitudes. 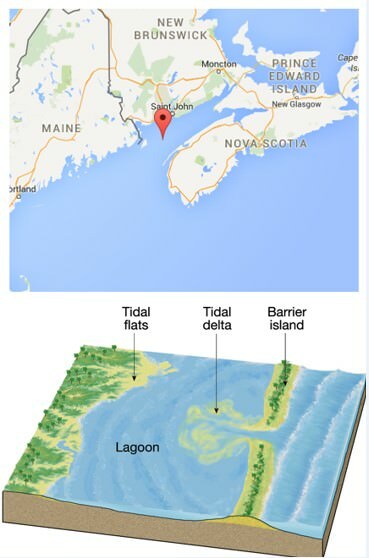 Example: Bay of Fundy –– Highest tidal range. The large continents on the planet, however, block the westward passage of the tidal bulges as the Earth rotates. Tidal patterns differ greatly from ocean to ocean and from location to location. Tides also occur in gulfs. The gulfs with wide fronts and narrow rears experience higher tides. The in and out movement of water into a gulf through a channels called a tidal current. When a tide enters the narrow and shallow estuary of a river, the front of the tidal wave appears to be vertical owing to the piling up of water of the river against the tidal wave and the friction of the river bed. 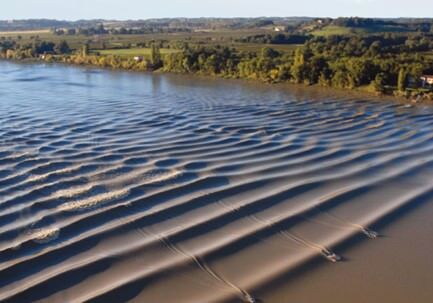 The steep-nosed tide crest looks like a vertical wall of-water rushing upstream and is known as a tidal bore. The favorable conditions for tidal bore include strength of the incoming tidal wave, slim and depth of the channel and the river flow. There are exceptions. The Amazon River is the largest river in the world. It empties into the Atlantic Ocean. The mouth of the Amazon is not narrow, but the river still has a strong tidal bore. A tidal bore develops here because the mouth of the river is shallow and dotted by many low-lying islands and sand bars. In India, tidal bores are common in the Hooghly river. Most powerful tidal bores occur in Qiantang River in China. The name ‘bore’ is because of the sound the tidal current makes when it travels through narrow channels. Bores occur in relatively few locations worldwide, usually in areas with a large tidal range, typically more than 6 metres (20 ft) between high and low water. A tidal bore takes place during the flood tide and never during the ebb tide (Tidal bores almost never occur during neap tides. Neap tides happen during quarter moons, when tides are weakest). Tides are stable and can be predicted. Tidal bores are less predictable and hence can be dangerous. The tidal bores adversely affect the shipping and navigation in the estuarine zone. Tidal bores of considerable magnitude can capsize boats and ships of considerable size. Strong tidal bores disrupt fishing zones in estuaries and gulfs. Tidal bores have an adverse impact on the ecology of the river mouth. The tidal-bore affected estuaries are the rich feeding zones and breeding grounds of several forms of wildlife. Animals slammed by the leading edge of a tidal wave can be buried in the silty water. For this reason, carnivores and scavengers are common sights behind tidal bores. (a) As result of the moon and the sun pulling the earth gravitationally in the same direction. (b) As result of the moon and the sun pulling the earth gravitationally in the opposite direction. (c) Indention in the coast line. What are tides? How are tides caused? How are tides related to navigation?